Faith in Nature’s organic replenishing moisturising cream is specially formulated to hydrate and soften skin, slowing the effects of ageing as it is enriched with organic green tea which is a natural anti-oxidant. This vegan friendly replenishing moisturiser is suitable for frequent use as it is free from parabens and SLES and so it is not harmful to the skin. As with all Faith in Nature products, it is cruelty free and suitable for vegans. 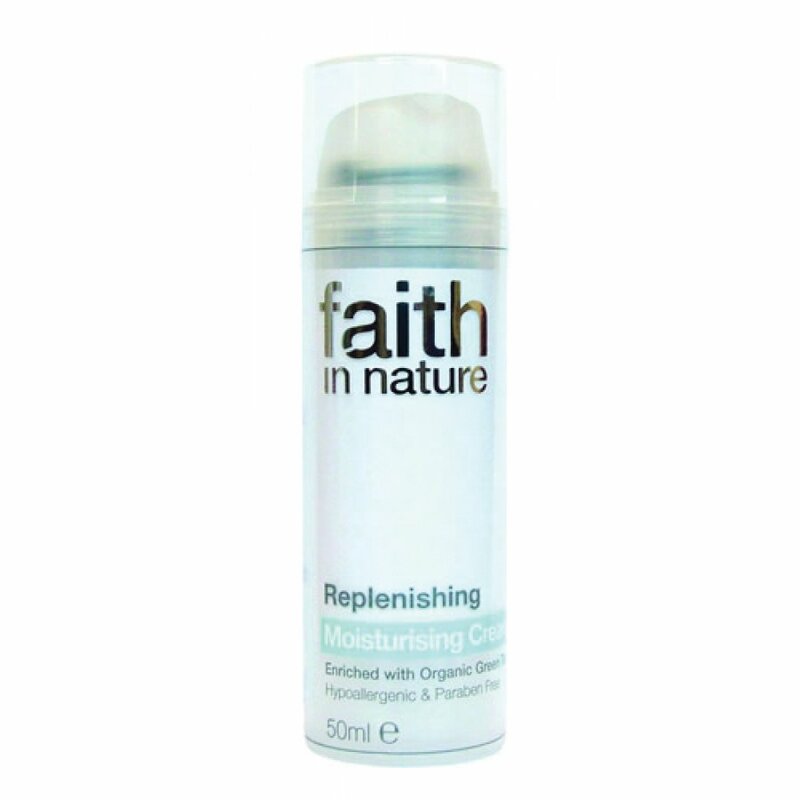 There are currently no questions to display about Faith in Nature Replenishing Moisturiser - 50g.